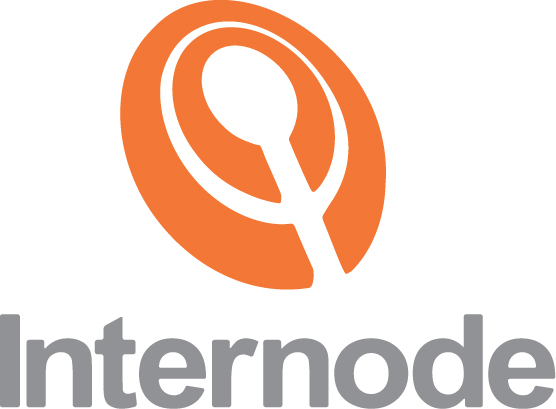 Internode has announced that a $20 bundling discount for customers outside their own network range will be extended to almost everyone, making them quite suddenly one of the best options available for regional and rural customers. Off-net is a term that regional and rural customers come up against from time to time, that only makes sense in context. The term generally refers to when your particular Internet Service Provider (ISP) cannot connect your line to the wholesale network of their choice (which is generally either their own network, or the Optus network) and have to fall back on Telstra’s wholesale network, which is many times bigger than the second biggest (which is TPG or iiNet, depending on which metric you use). Off-Net prices are generally the only available option in many remote areas, but also in suburban areas where new estates have been built. Most cheaper networks won’t connect to these areas, because the amount of customers that can be reached is not worth the investment to drag their lines to the area and set up a connection point at the telephone exchange. These plans are more expensive for the same reason that BigPond, Telstra’s retail internet arm, is more expensive than the rest of the market: because their network services unprofitable areas, the plans are higher across the board to ‘cross-subsidize’ the hard to reach customers. In a press release, Internode Product Manager Jim Kellett said the extended reach for the monthly $20 Easy Reach bundling discount was great news for regional customers. “After the success of last month's improvements to our Easy Reach plans, we decided to go one step better and make the Easy Reach bundling discount available nationwide,” he said. Internode, which is generally a premium priced ISP, trades on its excellent reputation for customer service, technical support and customer engagement through social media and the like. Everyone, from the CEO to the founder and down from there, is highly technical and regularly participates in online forums and Facebook. The company strives for excellence in service delivery and maintaining an Australian-based work force, even if that prices them ahead of the competition. Internode has dubbed their off-net plans as ‘Reach’ plans, with the same idea – reaching beyond their own resources to offer a workable solution for customers not connected to their own network. Internode Reach plans were previously price-comparable to the likes of TPG and Primus, but only if customers could get access to their bundled line rental + broadband pricing, which most couldn’t. Previously, customers in regional areas who wanted to avoid BigPond (and their longer contracts) had to choose between Club Telco (1300 138 155) and Dodo (1300 136 793), two budget operators who offer flexibility and great prices, but often at the cost of reliable customer service. On first blush, this makes the Internode deal look relatively weak compared to the competition – but the difference in reputation is vast. Internode has consistently been rated by Roy Morgan research, by the TIO, by Money Magazine and by general reputation as the leader in customer satisfaction in Broadband for the last decade. Dodo, meanwhile, has consistently driven in more TIO complaints than any other ISP, except for Telstra, which has about 15 times as many customers. Just this week, Product Review used independent consumer reviews to rate Dodo as Australia’s worst brand – not just in telecommunications, but in everything. So while Internode’s pricing for regional customers is still a tad beyond the competition, when factoring in their customer service it might represent the best opportunity for these customers to enjoy good service without paying well over the odds. So long as they don’t need unlimited data. There are ways to get the benefits of good customer service and good prices for DSL broadband when outside metro areas, but they usually require some creative workarounds. 1. Call Telstra on 13 22 00 and have your line activated with Homeline Budget ($22.95/month). 2. Call MyNetFone on 1300 421 046 to get an Economy plan (200GB for $50) or Standard (500GB for $60). MyNetFone has an all-Sydney based customer contact centre, low setup fees and plenty of data, making them an attractive option for people willing to forego a bundle. Altogether, the above would cost you $73 or $83 a month – cheaper even than a bundled phone and broadband deal. But this is strictly recommended for customers who don’t even plan on using the phone service. For more details or to see what’s available in your area, call us on 1300 106 571 today! Internet service provider Internode has announced that they have installed their own broadband equipment in and around Darwin, Australia’s most remote capital city. The equipment will connect back to Internode’s own network courtesy of NextGen Networks, part of the federal government’s Regional Backbone Blackspots Program.